Today I'm bringing you the second post in the Jewelry & Nail Art series, this time it's a festive manicure with a Christmasy touch. Although the holidays are behind us, I still didn't get to share my Christmas manicure with you because I was a bit late with getting this post done in time, and I guess now it's a good time as any! 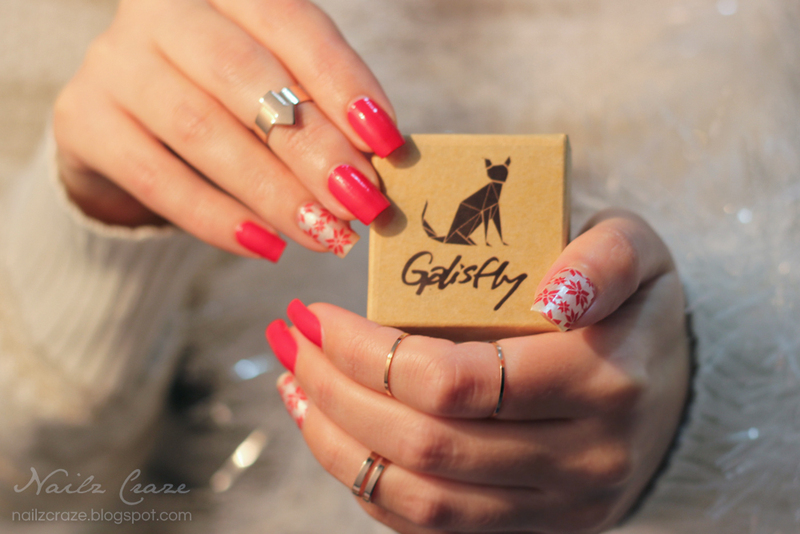 For this look I got my new stacking rings from Galisfly to go along with my classy yet playful manicure for Christmas. I wanted to keep it simple and pretty with my manicure, and what can be more simple than Sally Hansen's Salon Effects real nail polish strips? I got my nails done with a neat and perfect manicure for the holidays with minimum time spent to get this awesome look. I chose two designs from my stash of Sally Hansen's strips - Snow Bunny (a red fair isle design over a pearly white base) and I Dare You (a classy red to go along with this design). A quick application and no dry time, and I'm ready for the holidays! I used up less than half of each package, so I have plenty more for my next designs. I applied the Snow Bunny strips on the thumbs and ring finger, and I Dare You on the rest of the nails. I think this simple combination creates a pretty and festive look, which I really loved and enjoyed wearing. I wanted my manicure to be simple and let the stacking rings from Galisfly do all the bling for me. I think they look really fab on the hands! This is actually my first set of stacking rings and I'm really excited to mix and match them with various nail designs and outfits. These fashionable and playful stacking rings are the work of Galisfly, another great Israeli designer I am proud to introduce you to. Gal Vardi, the designer behind Galisfly offers a variety of trendy jewelry, but her true expertise is in the stacking rings domain. I think I've never seen so many gorgeous rings at one place, Galisfly has so many great designs that I just want to get them all! Gal's brand launched in June 2012, and has been growing worldwide, working with boutiques all over the world. Find more about Galisfly here. The rings I chose to show you from Galisfly boutique are these chic yet delicate stacking rings in rose gold tone. These are very comfortable to wear since they are relatively thin and some of them are adjustable, and it's simply fun to play with them, placing them on different fingers and creating a new look each time. On my middle and ring fingers I am wearing three rings from the Daisy Stack Ring Set and on my middle finger I'm wearing the Arrow Cuff Midi Ring. I really fell in love with these rings, I feel like these will go with any nail art design and any outfit. 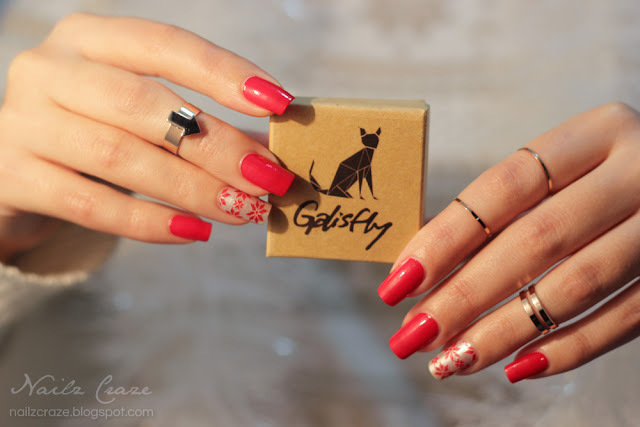 You can take a look at Galisfly Lookbook and get some ideas for how to wear her gorgeous rings and jewelry. Well done, And thanks for sharing this with us! Gorgeous pictures! You always make such elegant compositions :). Beautiful and love the rings too.